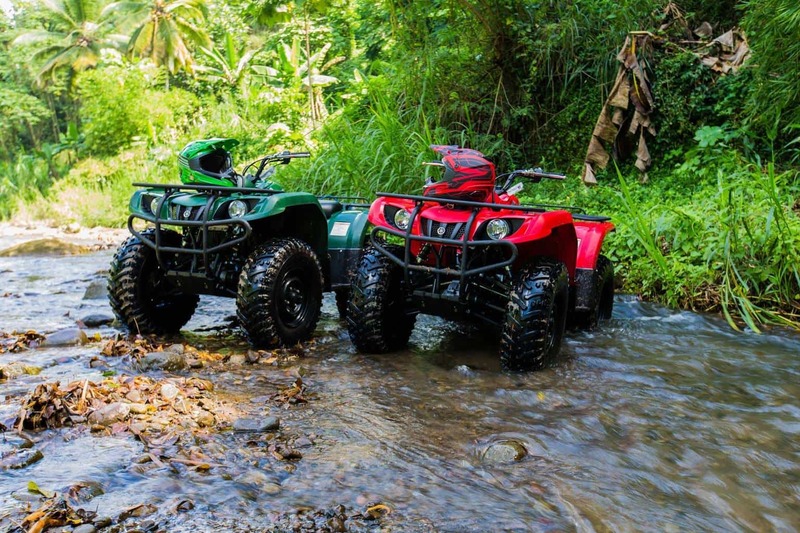 An exciting ATV tour that takes you on a trail through many unseen parts of the south of the island of St.Lucia. 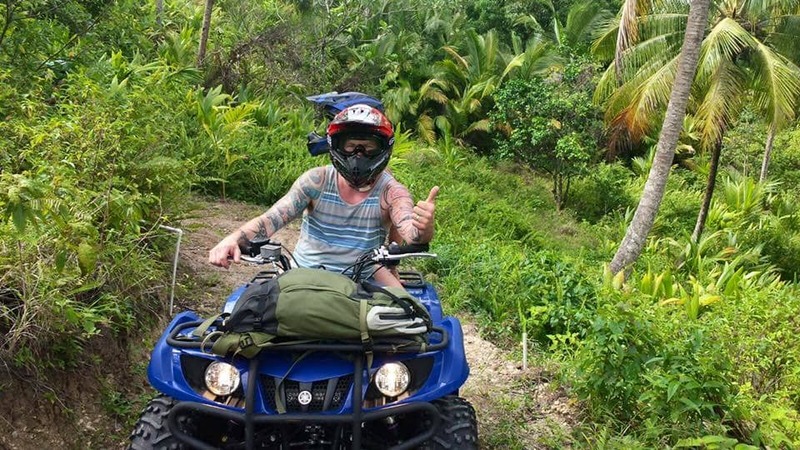 Our tour guide will take you on a journey through a network of exciting riding trails that begin in the mountains south of Soufriere in the community of Balca, Saltibus. The 2 1/2 hour tour starts off on a working farm and continues onto an old plantation and the Devils Bridge. 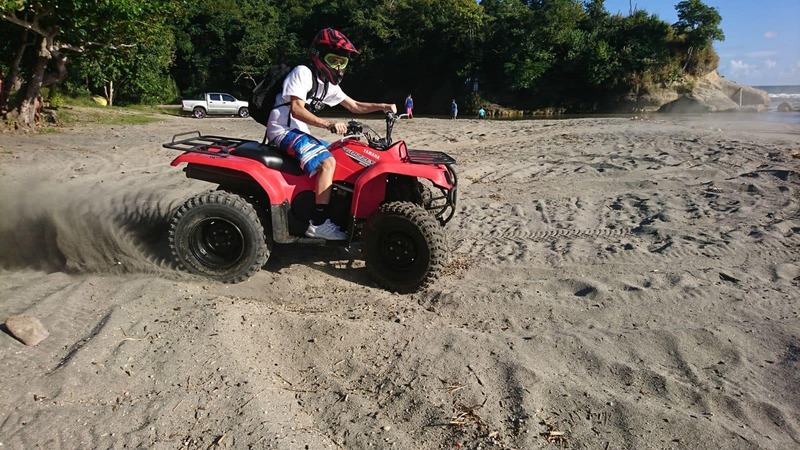 The ride also takes you through lush green valleys and 2 beautiful secluded black sand beaches where you are free to swim, relax and have refreshments. 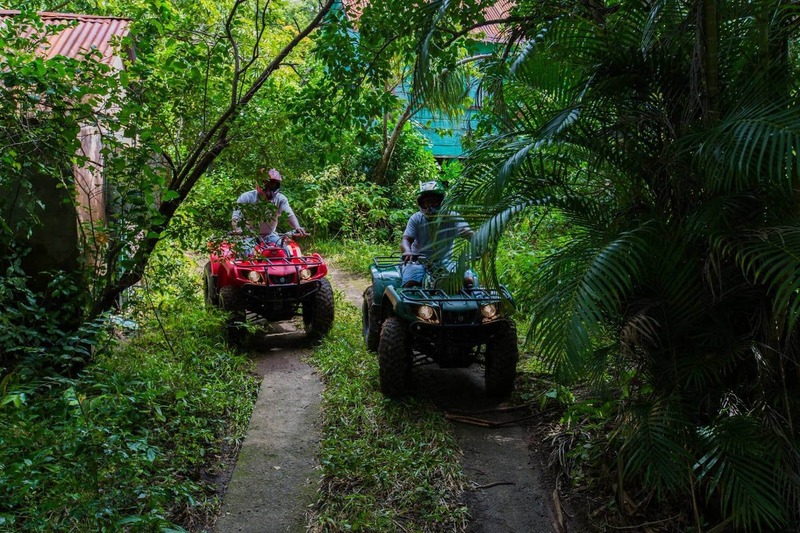 It explores many of the “off the beaten trails” not normally seen by visitors to St.Lucia. Besides the Pitons, Botanical Gardens and other famous sites in Soufriere there are many other unexplored areas that offer amazing views and let you experience an authentic St.Lucian experience. 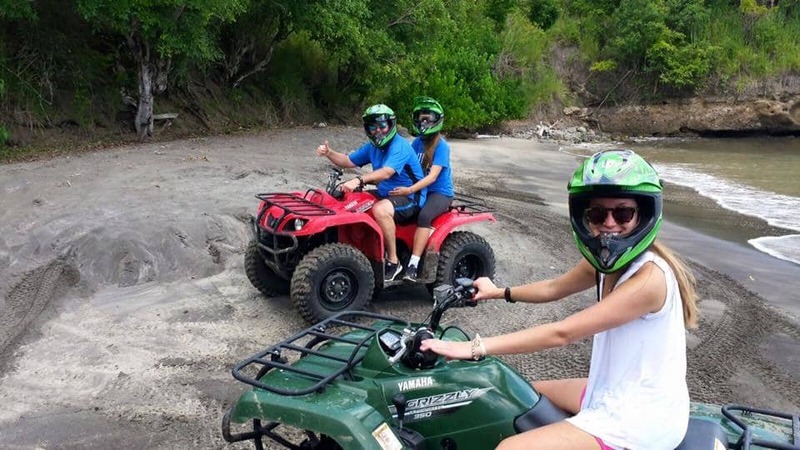 The tour is also very interactive as you will not only get to sample different types of fruits grown on the estate, but your guide will brief you on the rich cultural history of the area and how it has molded St.Lucia into the island it is today. At the Devil’s Bridge, you have the option to hike down to the river and follow the amazing gorge that has been carved out by the water. We also visit not one, but two black sand beaches in remote areas. You have the option of swimming at the beach during the tour and take a dip in the cool, fresh river. Definitely a great outing to do with a large group of friends! I wish there were more more scenic spots to see but other than that I had a great time. Fantastic trail with many scenic spots. Had a great time with the boys. Definitely will be back soon. Very good, had an awesome time. The experience is one to remember. Irie vibes! Irie views! Irie people!! !